ANMOL JAN KALYAN VIKASH SAMITI is located in RAIPUR Chhattisgarh . ANMOL JAN KALYAN VIKASH SAMITI is registered as a Society at RAIPUR of state Chhattisgarh with Ngo unique registration ID 'CG/2014/0072102' . 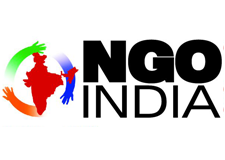 The NGO registration is done by Registrar of Societies with registration number CHHATTISHGARH STATE /1826 on the date of 17-09-2007, Its parent ORganaisation is PaulFoundation. The Chairman of ANMOL JAN KALYAN VIKASH SAMITI is DURGESH KUMAR MISHRA and Chief functionary officer is DURGESH KUMAR MISHRA. HEALTH AWARENESS CAMP, WOMEN AND CHILD DEVLOPMENT PROGRAM FOOD PROCESSING TRAINING CAMP CAMP FOR ENVIRONMENT SHG SELF EMPLOYMENT TRANING CAMP ADULT WOMEN EDUCATION CAMP URBAN AND RURAL DEVLOPMENT ACTIVITIES EDUCATION AND LITRACY PROGRAMS IN RURAL AREA.